It’s tough to win in today’s markets if you’re not accelerating new product results? Getting the right new products to market quickly can stress your entire organization. It requires focused execution not only in research, design, engineering, and supply chain, but also in marketing and sales. Stumble at any step, and time-to-profitability soars. And let’s not forget—this all has to happen while your team supports existing products. You know—the ones that pay the bills and fund those new programs.So you need an organization driven to deliver extraordinary new product results. The challenge is not just to overachieve on your next new product. It’s to deliver a regular stream of new products that serve unmet needs better and faster than your competitors can. That’s the kind of growth engine that can propel your business. And the more powerful your engine, the faster you can grow. But as a leader, you know how hard change can be. Try to force change and the resistance begins, “We’re too lean to go any faster.” Or “We need to fix our process first” Or even “We don’t have the right people to pull this off.” It’s hard to tell the real issues from the smokescreens. And the resistance is draining – hardly the energized environment you were hoping to create. Too many unimportant “priorities” seize-up your pipeline. Ever notice the more you try to do at the same time, the longer it all takes? Instead of focusing on the critical few programs that are going to create market advantage, your key resources end up spending their time on overhead activities like task-juggling and appeasing multiple project owners. You end up wondering why people aren’t stepping up to the plate or seem to lack motivation, while they end up feeling stressed or burned out. You don’t see the delays until it’s already too late. No matter how well you plan and prepare, unexpected obstacles will always come up. But with resources stretched thin and no way to see when programs are making real progress vs. just putting in time, it’s impossible to be responsive, much less proactive, when problems arise. That leaves your timelines unprotected and vulnerable. Then the finger pointing starts… and that never helps create the supportive environment you need to foster creativity and risk-taking. Conflicting priorities derail your progress and trigger cascading delays across programs. Some resources will always have to be shared across projects, but without clear priorities, people set their own agendas. Then it’s often the squeakiest wheel that gets the grease—leaving the ones that move you closest to your goal to wait. Certainly not the collaborative teamwork you had envisioned. 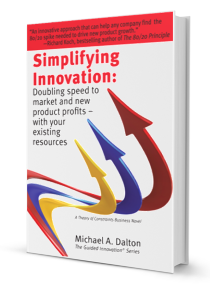 A regular stream of innovations that create real competitive advantage—with important new products that address unmet needs before your competitors even know the opportunities exist. Early warning before programs go off track—The kind of visibility into key programs that allows you to take action early so that that troubled programs recover quickly and continue moving swiftly through development and into successful market launch. A buzz of engagement in your business—the kind of energy that comes from having priorities and activities synchronized. The kind of frictionless execution that helps you deliver what you promised when you promised it, and see your lead in the market grow as a result. If you’re not seeing these types of results, you’re far from alone. According to one study, half the leaders surveyed were dissatisfied with their return on innovation spending; unfortunately, the results are even worse for industrial companies. The FastTrack program was designed to help you gain a significant competitive advantage in new products. The program is offered exclusively for companies that are investing significantly in growth, but need to accelerate their speed-to-revenue and new product innovation results. You’ll begin to see results in just months, but the program can be phased in over a full year so changes have time to take root in the culture and you can lock in the gains. You get everything you need to significantly increase your speed to market and new product profits—with the resources you already have. Adding resources can be an involved and expensive process, so the focus starts with getting everything you should be from the investment you’re already making. We custom fit the FastTrack to your company’s needs. This includes a combination of workshops, coaching, training, events, and software tools tailored to help you build excellence in new product growth. Most importantly, it’s designed so that you start seeing results within the first months. These early wins help generate the momentum and engagement you need to sustain the journey you’ll be on to make results based innovation a foundational part of your culture. new product stages. Energizing your group and having a repeatable process are important, but only if they deliver lasting changes in the way you operate. And that rarely happens without focused improvement efforts and without allowing the time for mastery. In most cases, it’s not long before the novelty wears off, the bureaucracy sets in, and you’re wondering what you got from your investment. So what makes Guided Innovation’s FastTrack any different? Improvements that don’t add complexity. Improvements are only as good as your ability to implement them, and added complication rarely creates new opportunities—except maybe to add overhead. The FastTrack helps simplify execution with common sense and visual management tools that add value—not complexity. Focus that drives execution. Your team will master a focusing system that concentrates their efforts on the highest leverage improvements and growth opportunities – the ones that provide the most results for the least effort. 80% of your results may come from 20% of your efforts, but 100% of the improvement will come at your leverage point—also known as your constraint. 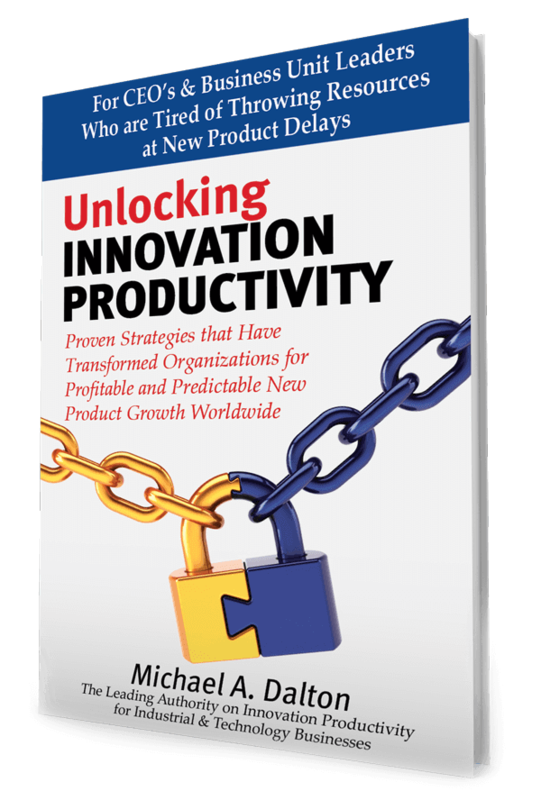 Our unique 5-step system helps your team identify your innovation constraint and then harness it for maximum effectiveness. Change strategies that create lasting improvements. Most people want to do the right thing, but without investing time to engage their hearts and minds, insecurity creates resistance that gnaws away at your efforts. We work with you to involve people in both identifying the problems and tailoring the solution and tools to give them the confidence needed for implementation. You end up with a culture that continues to deliver improvements long after the program is done. We’re always available for you and your team. While it sometimes means a client will have to wait before we can start a new engagement, we limit ourselves to one FastTrack Program in the Design and Rollout phases at any given time so that you get the individual attention needed to ensure success. An organization focused on the best opportunities for growth. Your team will know how to find customer’s critical unmet needs—unmet needs that are a good fit for your growing capabilities and that will generate an attractive ROI. Strong market leadership. You’ll have the market advantage that only comes from being known as a company that delivers on the true promise of innovation—to make your customers’ businesses more successful. In this brief first phase, we work with a Steering Team of key stakeholders to build the Change Charter and identify the Design Team that will carry out the work in Phase II. Together, we identify goals and challenges and agree on a timeline. This phase is critical to building the guiding coalition and the commitment necessary to sustain the execution effort. Additionally, the Steering Team, with support from others in the organization, conducts a rigorous facilitated portfolio evaluation to determine which projects will be moved to the FastTrack execution approach, which will continue as before, and which will be placed into the backlog for later planning and release. Phase II – Design for Sustained Results – In this phase, a dedicated Design Team, consisting of Resource Management (RMT) and Project/Program Management (PMT) sub-teams, designs the new project execution system. The RMT develops the systems, policies, procedures, communications, and training required to launch and sustain the FastTrack rapid execution environment. The PMT works with others across the organization to create bullet-proofed project plans for all programs included in the initial FastTrack rollout. The RMT implements a large scale visual workflow center and starts using it to manage task execution and drive process improvements. The new FastTrack project execution environment is rolled out and fully implemented. This includes training & orientation for all project team members and supporting personnel. Phase IV – Optimize Opportunity Replenishment – With the rollout completed, we can further strengthen your competitive advantage by building capability for identifying new opportunities with the potential to truly move the needle—the ones that create value for both you and your customers. We help your commercial and technical teams build critical new frameworks and work with them to develop field skills for finding unmet needs and assessing the new product opportunities needed to carry out your strategic plan. When we’re done you’ll not only have a strong new product portfolio—you’ll also have a high quality pipeline of opportunities for the future. Phase V – Continued Improvement – Anchoring these new behaviors and systems in the culture takes time and as much as 50% of the improvement comes after the initial rollout. So in this phase we continue working with you over the remainder of the year, or longer if necessary, to help you stay accountable to your execution metrics, identify additional high leverage improvements, and embed FastTrack principles within your culture. Comprehensive Project Planning & Execution Software — As part of the program we’ll help your team implement simple, but powerful visual project planning and resource management software called Exepron. This cloud based suite of tools makes collaboration across the entire organization a snap, provides your teams with the critical information they need to keep programs on track, and gives you visibility into any delays before they put project timelines at risk. Personal Support — My goal is not to deliver training and install systems, but to make sure you dramatically improve your new product results and do so in a way that becomes a sustainable advantage. So in addition to scheduled workshops, and coaching, the program includes unlimited support by phone and e-mail with same day response in most cases because you shouldn’t have to make an investment decision every time assistance is needed. Is the FastTrack right for you and your organization? The fast track program was specifically designed for successful mid to large size industrial and technology based businesses located in the US. They are counting on new product innovation for a significant part of their future growth and are investing to achieve that. The industry doesn’t matter. The components of this program have been designed for and successfully run with a range of companies that develop and produce technologically sophisticated products intended for many different markets. While our specific experience is in specialty chemicals, software, packaging, printing, paint, adhesives, energy technology, and aerospace, these methods can be applied in any market that relies on new products for growth. What about you personally? Your goal is to create something really special—a growing, winning business where talented people want to work. You know that people want to do the right thing and that more command and control is not the answer. You’re committed to leading change by working collaboratively with your team. So you don’t want a consultant that just tells you and your people what to do. Instead you want to work with someone that can involve you in discovering your specific issues and tailoring powerful solutions to fit the culture you are trying to create for the future. If you’ve read this far, you might be wondering whether or not this program could work for your company. One of the ways we’ve helped other leaders answer that question is our complimentary FastTrack to Innovation Results Workshop. In this engaging session, you and your leadership team will explore the challenges you face, get clear on the kind of results you’d like to see instead, and learn more about strategies for overcoming your obstacles. It’s designed to help you determine whether the FastTrack program is a fit for you or not. And even if it isn’t, I assure you that your team will leave the session clear about your issues and excited about what’s possible for the future. If this introductory workshop is something you could see your team doing, the process starts with a brief, no-obligation call to get acquainted, discuss your situation, and determine who needs to be involved. Interested in seeing what FastTracking Innovation could mean for your company?